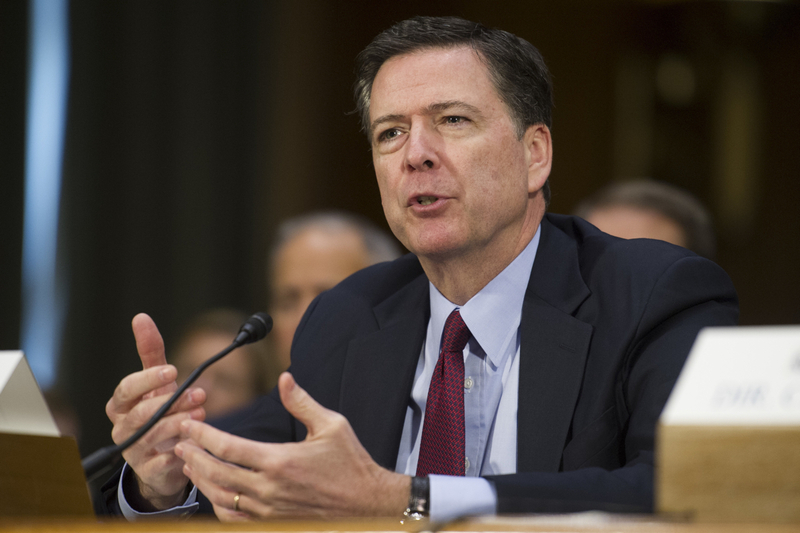 Comey will give the keynote at BC's cybersecurity forum. By Kyle Scott Clauss·	 3/2/2017, 10:05 a.m.
FBI director James Comey, whom some Democrats blame for costing former Secretary of State Hillary Clinton the presidential election, will attend a forum at Boston College next week. The topic? Cybersecurity. The head of the nation’s top law enforcement agency will deliver the keynote address at the first Boston Conference on Cyber Security (BCCS) on March 8. The $125-a-head event is organized by BC’s Woods College of Advanced Studies, and co-hosted by the FBI. Comey received criticism from conservatives when he declined bring charges against Clinton for her use of a personal email server, only to draw the ire of the left when he sent a letter to Congress just two weeks before the presidential election, announcing the existence of new emails pertinent to the investigation. Ultimately, the FBI did not change its earlier conclusion, though many Democrats (including former President Bill Clinton) believe Comey’s letter swung the election for Donald Trump. The president later chose to keep Comey at his post, rather than risk another bruising confirmation process for a replacement.